This acquisition will bring Lewis's pharmacy count to 58. 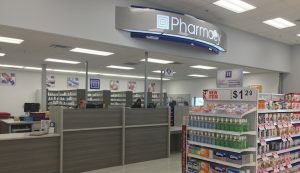 SIOUX FALLS, S.D.— Lewis Drug announced that the chain has purchased pharmacy assets, including prescription files and records, from Shopko Stores in the following six communities: Madison, Mitchell and Sisseton, S.D. ; Luverne and St. James, Minn. and Ida Grove, Iowa. Lewis Drug currently operates in four of the communities and is in the process of opening new locations in Sisseton and St. James. Lewis Drug is also opening a new location in Aberdeen, S.D. where Shopko Stores ceased its pharmacy operations in January. “These transactions demonstrate our continued commitment to serving our patients in the Tri-State area. As we celebrate our seventy-sixth year in business, I’m proud to say that pharmacy is still our cornerstone” said Mark Griffin, president and chief executive officer.